The Schlage BE479 Camelot Sense Smart Touchscreen Deadbolt is an Apple HomeKit door lock that is used to replace a user's standard door lock. The device can be controlled from anywhere using Siri voice commands when paired with a HomeKit Hub. 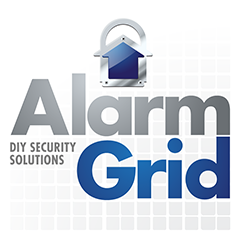 Buy the Schlage BE479 from Alarm Grid. The Schlage BE479 Camelot Sense Smart is a deadbolt lock with touchscreen keypad that can be paired with Apple HomeKit for quick and easy functionality. Once paired with a HomeKit Hub, a user can check the status for the lock and control the device from anywhere using their iOS device. The lock is known for being very easy to install and program with HomeKit using the Schlage Sense App. This app also allows users to manage codes, set schedules and view the usage history. All signals are sent using secure encryption to help keep the lock protected at all times. As a HomeKit device, the lock can be operated using voice commands that are sent through Siri. It can also be locked or unlocked on-site by entering codes that are programmed into the lock. The device is powered using four AA batteries, which come included with the lock. It has a battery life of about a year. There are color options for Satin Nickel and Aged Bronze.